Freeman, who picks up her first-ever WAC Player of the Week honor, led the Aggies to two wins last week as NM State secured itself of at least a share of the WAC regular-season championship, the team’s first WAC title and first conference regular-season championship in 20 years. The sophomore from Killeen, Texas, finished the week averaging a double-double by averaging 19 points and 11.5 rebounds per game. She came one rebound versus Utah Valley short of posting a double-double in both games. Freeman began the week by posting a game-high 21 points and adding nine rebounds in a 67-62 come-from-behind NM State win versus Utah Valley. The WAC leader in field-goal percentage sank 8-of-14 shots for a .571 shooting percentage. She led the second-half comeback, at one point marking 11-straight Aggie points, including three-consecutive old-fashion 3-point plays in the paint. With a WAC championship on the line versus Grand Canyon, Freeman posted her seventh double-double of the season, finishing with 17 points and 14 rebounds, including 11 crucial offensive rebound. She helped NM State to once again come from behind and take away a one-point victory on a last second shot by Tamera William. Freeman’s double-double against the ‘Lopes was her sixth in WAC play. She is certainly making a case for the WAC Player of the Year award as she leads the Aggies and is second in the WAC in both scoring and rebounding during conference games. Freeman is almost averaging a double-double during WAC play, averaging 17.5 points and 9.5 rebounds per game. Freeman is the fourth Aggie player to win the WAC Player of the Week award this season, joining Sasha Weber, Moriah Mack and fellow Killeen, Texas, native Shanice Davis on the list. Freeman and Davis were teammates at Harker Heights High School. 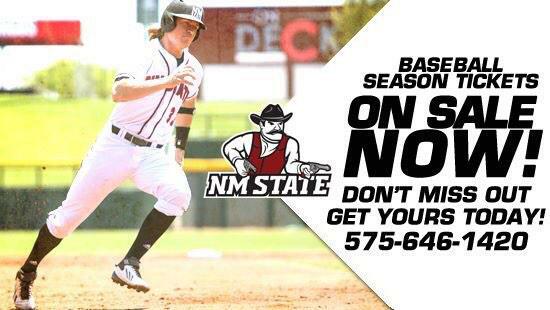 NM State will look to win the conference regular-season title outright as it takes on Texas-Pan American inside the Pan American Center on Saturday beginning at 7 p.m. during the Aggies’ final home game of the season.